'A Kind of Bliss' celebrated the visceral power of colour and explored its relationship to drawing in the work of Polly Apfelbaum, Katy Dove, Lily van der Stokker and the twentieth century historic predecessor, Len Lye. This exhibition sought to question historical debates in which intellectual, moral and aesthetic supremacy is attributed to line over colour. These artists revel in the use of colour, delighting in its seductive, celebratory and at times chaotic nature. Roland Barthes describes the sensuous, intoxicating power of colour, so feared by its detractors; 'Colour...is a kind of bliss...like a closing eyelid, a tiny fainting spell'. These artists use line and form in harmony with colour rather than in opposition and attempt to marry the formal and conceptual in works that make conspicuous the trace of the artist's hand. Two of Len Lye's experimental and intoxicating film works served as an introduction to the contemporary work. Commissioned by the General Post Office Film Unit to add fun, colour and energy to its otherwise sober advertising, Colour Box (1935) and Rainbow Dance (1936) used innovative techniques including drawing directly onto the film, 'colourising' black and white film in the laboratory and combining cartoon drawings with live action. 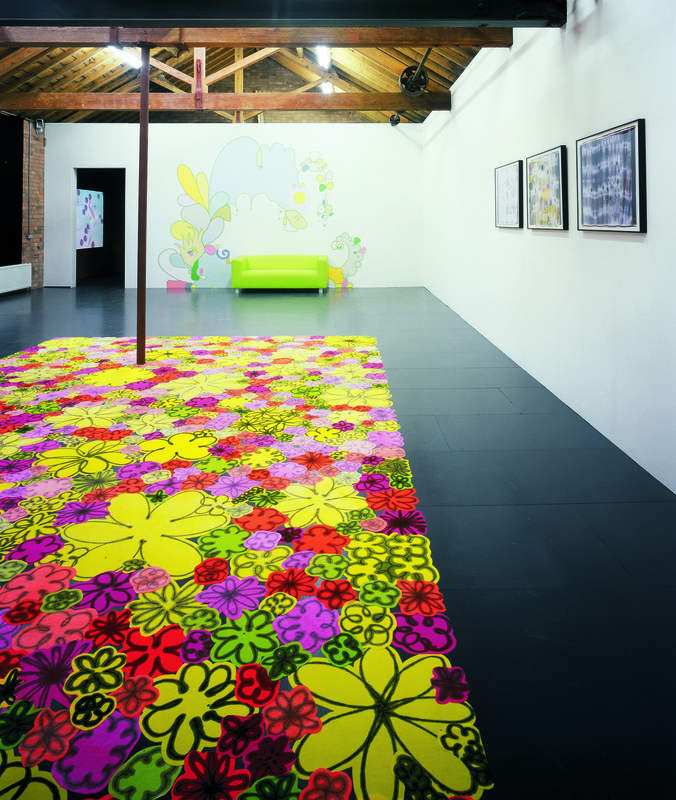 Polly Apfelbaum presented a site-specific floor work - an array of stylised flowers drawn onto brightly coloured velvet and then cut out. Apfelbaum's practice has crossed the boundaries between sculpture, painting and drawing in a bid to give the immaterial substance, create order out of chaos and imbue colour with the authority of content and form. She has referred to her floor works as 'fallen paintings', suggesting that they have 'fallen from grace' and wallow in such earthly pleasures as decadent fabrics and colours. 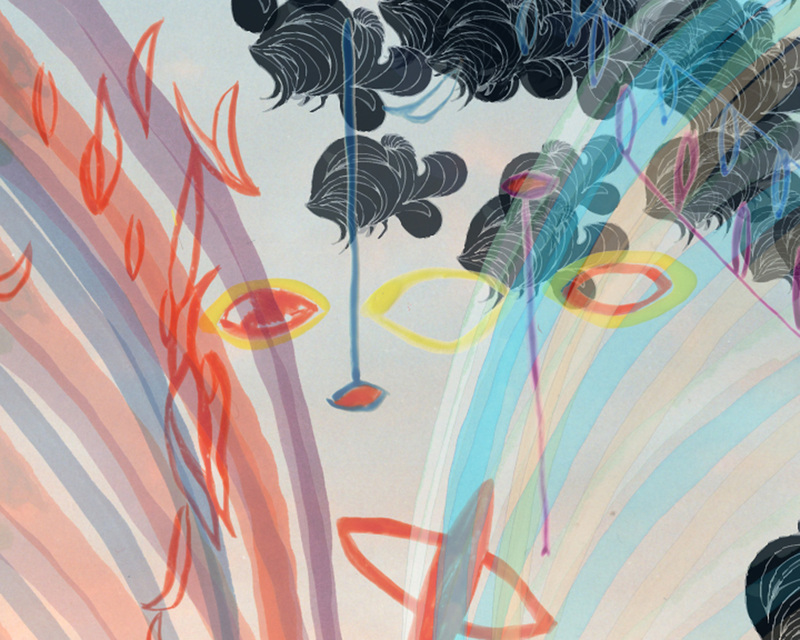 Katy Dove was commissioned to make a new digital video, Luna. The starting point was a soundtrack created by the artist that included bird song and church bells. Instinctive felt-tip pen drawings were made in response to the varied sounds and then animated through computer programming. The process of making automatic, abstract drawings allowed her imagination to become reality; it gave concrete form to an imaginary concept. Lily van der Stokker made a site-specific installation that incorporated wall painting and sculpture and explored the idea of artifice and embellishment. In her work clichéd flowers, doodles and words are blown up to enormous proportions and rendered in pastel shades or psychedelic colours in a bid to celebrate adornment and challenge cynicism. 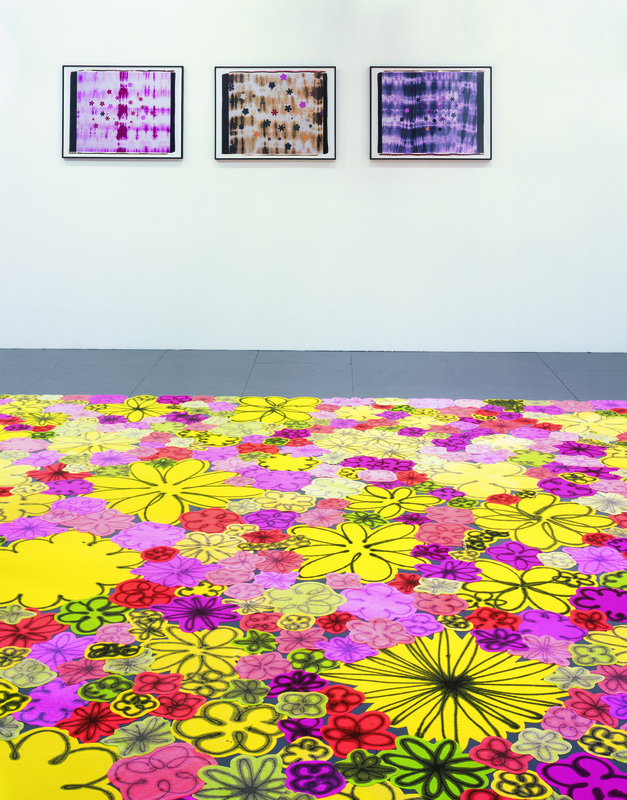 Polly Apfelbaum was born in 1955 and lives in New York. She has exhibited extensively in the United States and Europe; a major solo exhibition toured to the ICA, Philadelphia, Contemporary Arts Center, Cincinnati and Kemper Museum of Contemporary Art, Kansas City 2003-04. Katy Dove was born in 1970 and lives in Glasgow. She had a solo exhibition at Transmission, Glasgow in 2000 and was included in the 50th Biennale di Venezia and 'Lightbox', Art Now, Tate Britain, 2003. Len Lye was born in New Zealand in 1901 and moved to London in the late 1920s. He was a major figure in experimental filmmaking as well as a leading kinetic sculptor and an innovative theorist, painter and writer. He died in New York in 1980. Lily van der Stokker was born in 1954 and lives in Amsterdam and New York. She has exhibited internationally, with a major installation at the Ludwig Museum in Cologne in 2003-04.